Duties: Teach computer science courses, including Intro to Computer Science for CS Majors (Python programming), Intro to Computer Science for non-CS majors (App Inventor 2 programming), User Experience Design, and Senior Team Projects. Duties: Perform product usability design, evaluation, testing, and training for clients. Write software design books. Manage company. Duties: Designed and evaluated user interfaces for software programming tools. 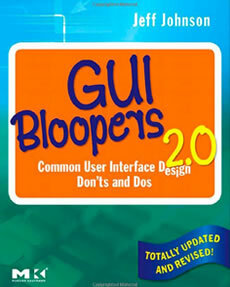 Educated software engineers about user-interface design issues and guidelines. Conducted usability testing. Helped manage a summer intern laboratory assistant. Duties: Responsible for usability of user interfaces for consumer electronics and interactive TV product prototypes that were precursors of Sun's Java product. 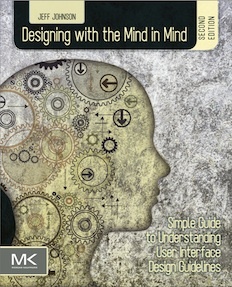 Designed and evaluated user interfaces. Established and operated a usability testing lab. Conducted usability testing. Managed a laboratory assistant. Duties: Human-computer interaction research. Member of a team developing an application-development environment for use by end-users as well as programmers. Member of a task-force on handheld computer-based appliances for non-technical consumers. Member of a project to develop systems to support people in businesses in working together over long distances. Duties: User-studies using prototype systems to derive principles of user-interface design and to examine new user-interface technologies. 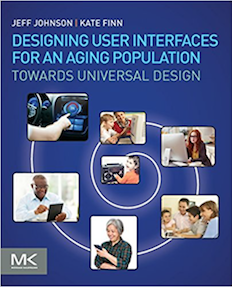 Included research on user-interface modes and on proper design of information services and terminals for the general public. User-interface design consulting. Training programmers in principles of user-interface design. Duties: Design and implementation on various projects related to enhancing the Star/ViewPoint office computing system for electronic publishing applications. Designed and led implementation of a Stylesheets facility for the ViewPoint document editor. User-interface designer for most of the ViewPoint 2.0 enhancements. Duties: Designing and implementing applications software (word processing, statistical analysis, graphics), designing keyboards, developing user-interface standards, designing user-interface toolkits, writing documentation, managing software engineers, LISP support. Duties: Software development for Viking and Mariner data analysis. Recipient of ACM SIGCHI Lifetime Achievement Award, 2016. Elected to ACM SIGCHI Academy, January 2014. Erskine Fellow, Computer Science and Software Engineering Department, University of Canterbury, New Zealand, 2013. Distinguished Speaker, Association for Computing Machinery (ACM), 2011-2014. Erskine Fellow, Computer Science and Software Engineering Department, University of Canterbury, New Zealand, 2006. Communications of the ACM Web Advisory Board, 2007-present. ACM SIGCHI U.S. Public Policy Committee, 2004-present. Board Chair, Computer Professionals for Social Responsibility, 1990-93. Stanford Center on Longevity, November 2018. Keynote and workshop, Interaction South America (ISA) 2016 conference, Santiago, Chile, Nov 2016. Opening Keynote, CHI New Zealand (CHINZ) conference, Christchurch, New Zealand, Nov 2013. Computer Science Department, University of Waikato, Hamilton, New Zealand, Sept 2013. ACM SIGCHI Bay Area Chapter (BayCHI): May 2013. Design Workshops: PM Storm Training, PM-China, Shanghai & Beijing, May 2012. North Bay Internet Society: Sebastapol, CA, May 2012. Stanford University, Computer Science Department: Stanford, CA, April 2012. Keynote and Workshop: 1st Product Manager Conference, PM-China, Shanghai & Beijing, Nov 2011. ACM SF Bay Area Chapter: Cupertino, CA, July 2011. Academy of Art University: San Francisco, CA, July 2011. Bay Area Editors Forum: San Francisco, CA, March 2011. Mills College, Computer Science and Psychology Departments: Oakland, CA, March 2011. Center for Technology Innovation, University of Wisconsin at Milwaukee: Milwaukee, WI, Jan 2005, April 2008, Jan 2011. Lawrence Berkeley National Labs, University of California at Berkeley: Berkeley, CA, Jan 2011. ACM SIGCHI Bay Area Chapter (BayCHI): July 2010. Opening Keynote: UX Prague 2010, Prague, Czech Republic, June 2010. Keynote: Expo:QA 2009, Madrid, Spain, Oct 2009. Usability NJ: Princeton, NJ, Feb 2009. Software Test & Performance 2009 Conference (STPcon 2009), San Mateo, CA, 2009. Opening Keynote: FutureTest 2009 Conference, NY, NY, 2009. Opening Keynote: Yggdrasil 2008 Conference, Lillehammer, Norway, 2008. Technical University of Berlin, Computer Science Department: Berlin, Germany, Nov 2008. User Experience Russia 2008 Conference (UXR 2008), Moscow, Russia, 2008. Usability Professionals Conference (UPA 2008), Baltimore, MD, 2008. Software Test & Performance 2008 Conference (STPcon 2008), San Mateo, CA, 2008. Computer Society of South Africa, Johannesburg, South Africa, 2008. University of South Africa, Pretoria, South Africa, 2008. ACM SIGCHI Bay Area Chapter (BayCHI): Nov 2007. Opening Keynote, CHI New Zealand (CHINZ) conference, Christchurch, New Zealand, July 2006. Stanford Linear Accellerator Center, Stanford University: Stanford, CA, June 2005. Opening Keynote, Society for Technical Communication Trans-Alpine Chapter 2004 conference, Vienna, Austria, 2004. Bay Area Editors Forum: San Francisco, CA, Nov 2004. Bay Area Editors Forum: San Francisco, CA, Sep 2004. ACM SIGCHI New York City Chapter (NYC-CHI): New York, NY, June 2004. STC-TAC Conference: Vienna Austria, Apr 2004. North Bay Multimedia Association Web SIG: Novato, CA, Apr 2003. PARC Forum, Palo Alto, CA, 2003. Opening Keynote, Winwriters 2003 Online Help conference, Seattle, WA, 2003. Computer Science Department, University of California, Berkeley, CA, 1999, 2000, 2002. Computer Science Department, Stanford University, CA, 1993, 1994, 1995, 1996, 1997, 2000, 2001, 2002, 2004, 2010, 2012, 2014. Computer Science Department, University of San Francisco, CA, 1996, 2000, 2002, 2004, 2010. Computer Science Department, Cal. State University, San Francisco, CA, 2001, 2002. Mathematics and Computer Science Department, Cal. State University, Hayward, CA, 2000, 2002. Computer Science Department, Mills College, Oakland, CA, 2001, 2002, 2011. Computer Science Department, McPherson College, KS, 1998. Computer Science Department, Bethel College, KS, 1998. Computer Science Department, Tabor College, KS, 1998. ACM SIGCHI'97 Conference, Atlanta, GA, 1997. Department of Informatik and Mathematik, University of Bremen, Germany, 1994. Department of Informatik and Mathematik, University of Paderborn, Germany, 1994. Psychology Department, University of Colorado, Boulder, 1987. Assistant Professor, Computer Science Department, University of San Francisco (August 2016–present). Visiting Lecturer, Computer Science and Software Engineering Department, University of Canterbury, New Zealand (Winter Semester 2013). Visiting Lecturer, Computer Science and Software Engineering Department, University of Canterbury, New Zealand (Winter Semester 2006). Visiting Assistant Professor, Math and Computer Science Department, Mills College (Spring 2003). Part-time lecturer, Computer Science Department, Stanford University (1997-1998). Teaching Assistant, Stanford University Psychology Department, 1974-1978. 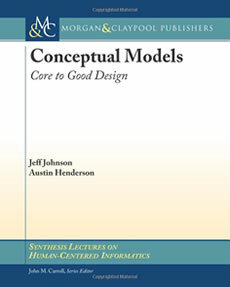 Human-Computer Interaction, User Interface Design, User-Interface Frameworks and Components, Usability Testing, Statistics, Cognitive Psychology, Developmental Psychology. Programming languages: Java, C++, Mesa, C, LISP, Z-80 assembler, SAIL, APL, FORTRAN, BASIC. Desktop UI tools: UIM/X, XDesigner, InterViews, Motif, Director, Symantec Visual Cafe. Wireframing tools: OmniGraffle, Photoshop, Word and Powerpoint graphics.